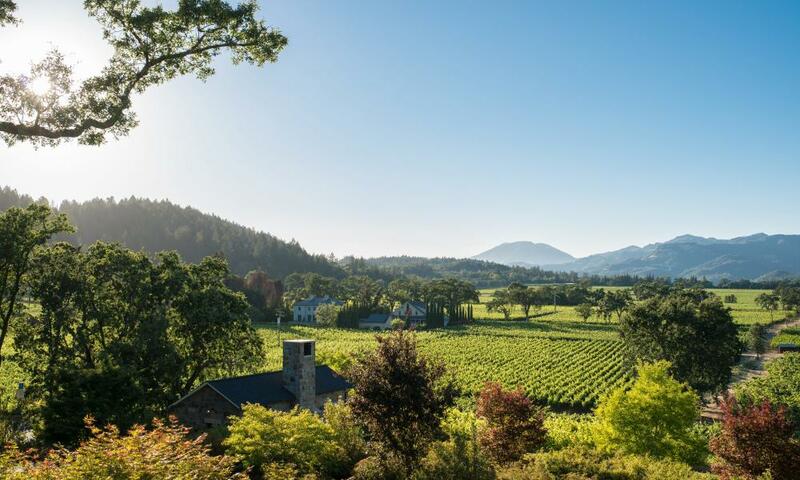 Eco-tourism is rapidly gaining in popularity worldwide, and it should come as no surprise that the Napa Valley – with its agricultural economy and vast natural beauty – is at the forefront of the trend toward green practices. If maintaining a low carbon footprint is important to you, welcome aboard. There are plenty of eco-friendly hotels, restaurants, and activities that will make it easy to stay “green” during your stay here. What to do. An eco-friendly visit to this area should begin with the Napa River History Tour offered by Enjoy Napa Valley. The one-and-a-half to two-hour experience takes you by kayak along the beautiful Napa River to explore the ecosystem and the incredible work that has been done to create one of the healthiest rivers in California. For times and rates, call 707-227-7364. Or, if it’s relaxation you crave, Calistoga Spa Hot Springs was recently renovated to include a rainwater recycling system, local labor and materials, and drought-tolerant landscaping earning it the Green Leader/Gold designation from Trip Advisor. Since then, two Tesla changing stations were added. Bardessono Hotel – LEED Platinum-Certified and built with salvaged materials; lots of natural light for reduced need for electrical lighting; LED, halogen or fluorescent bulbs in light fixtures; low water-flow bathroom fixtures. Calistoga Ranch – Two EV charging stations,100 percent water reclamation for recycled irrigation, all-natural bath amenities, farm-to-table cuisine, full LED lighting, bicycles for guests, and hiking trails that venture deep into the surrounding nature conservancy. The Meritage Resort and Spa – Serves seafood from the Monterey Bay Seafood Watch program and environmentally raised meat; donates all partially used soaps and shampoos to Clean the World for recycling and distribution to those in need; uses recycled water for landscaping and vineyards; donates fryer oil for biodiesel fuel; serves only fair-trade/organic coffee and tea; four EV charging stations for electric cars; and more. Silverado Resort and Spa – Recycles and composts 1093 tons of waste annually; has two Electric Vehicle (EV) recharging stations; paper recycling and LED bulb replacement programs; water conservation and water stations for meeting attendees; water only when requested in restaurants; towel and linen reuse in guest rooms; locally grown produce; re-useable cutlery and table ware. Napa River Inn – Battery-operated candles, locally sourced bath amenities, recycles its cooking oil into biodiesel fuel; is constructed from bricks formed from clay of the Napa River, bicycles for guests, four AC Level II charging pumps and one DC Level II pump. The Villagio Inn and Spa and Vintage Inn – EV charging stations; all food waste recycled or composted; natural cleaning products, property-wide recycling, including guest rooms; well water for landscaping low-flow toilets; water-based paint; low-voltage, LED, and fluorescent lighting. The Carneros Inn – Two EV charging stations, complimentary bicycles for guests, and a farm-to-table mixology class. Farmstead at Longmeadow Ranch – Electricity is 100 percent solar-powered; vegetables come from its organically farmed ranch, trimmings go to feed chickens, and remaining food waste and wood ash is composted for its vineyards, fields and orchards; pours wines on draft to save on packaging; does not serve bottled water; three solar-powered EV charging station; offers financial incentives to encourage staff to carpool; fryer oil is used to produce biodiesel for vehicles; energy-efficient lighting; recycled paper products and biodegradable to-go packaging; low-flow irrigation, washing devices, and toilets. Angele Restaurant – Features an ever-changing farm-to-table menu for lunch and dinner, with daily produce deliveries from local sources; six EV charging stations; and biodegradable to-go containers. Lucy Restaurant and Bar – The rotating menu uses only locally sourced and freshly picked ingredients – whenever possible, from the onsite culinary garden. Fosters strong relationships with local suppliers and organic dairy producers. The Conservatory Restaurant at the Culinary Institute of America – Observes farm-to-table practices, cooking, and stewardship; its culinary students not only work in the kitchens, but also on the CIA’s farms for “hands in dirt” education. Its “crop up” restaurant serves what’s fresh off the farm.